Smashing the Nobody Understands Me Myth. Teaching Librarian (Winter 2018). 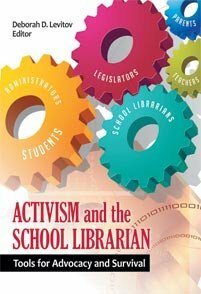 Ontario School Library Association. 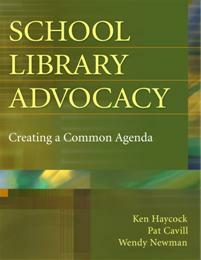 Aspirations and Opportunities: Advocacy for School Library Programs. Canadian Children’s Book News 38(3), Summer 2015. A publication of the Canadian Children’s Book Centre. Neil Gaiman (2013). Why our future depends on libraries, reading and daydreaming. 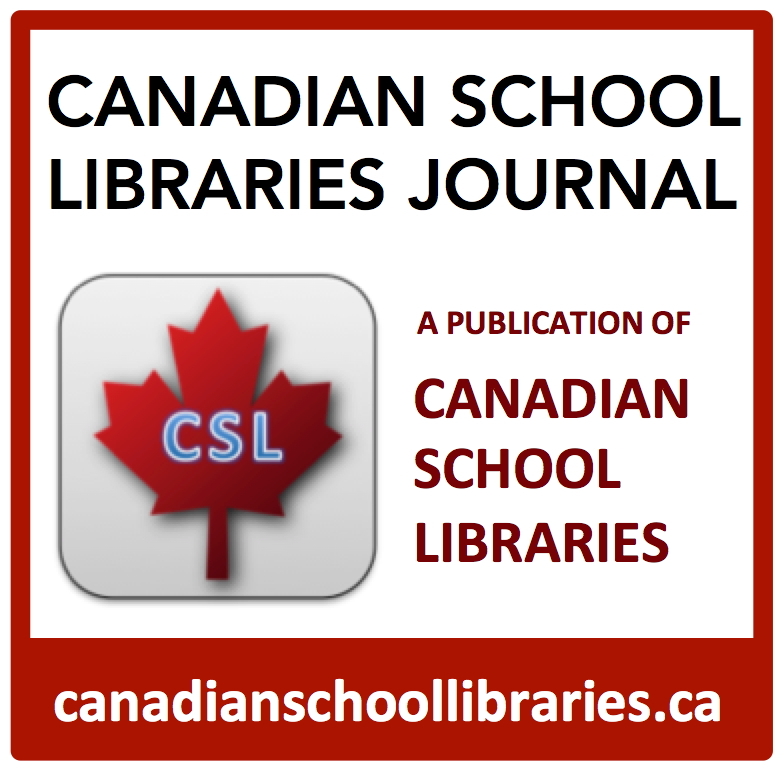 Canadian School Libraries (CSL) is a non-profit charitable organization dedicated to professional research and development in the field of the school library learning commons in Canada. 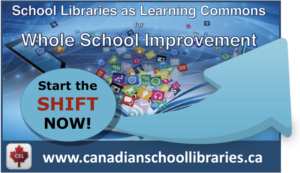 CSL connects school library practitioners and educators across Canada in the collaborative pursuit of delivering exemplary practices reflective of current professional school library learning commons standards. 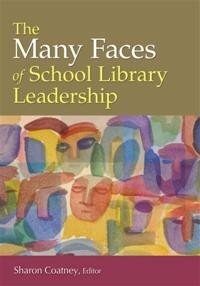 One starting point to essential resources for advancing the school library learning commons program. 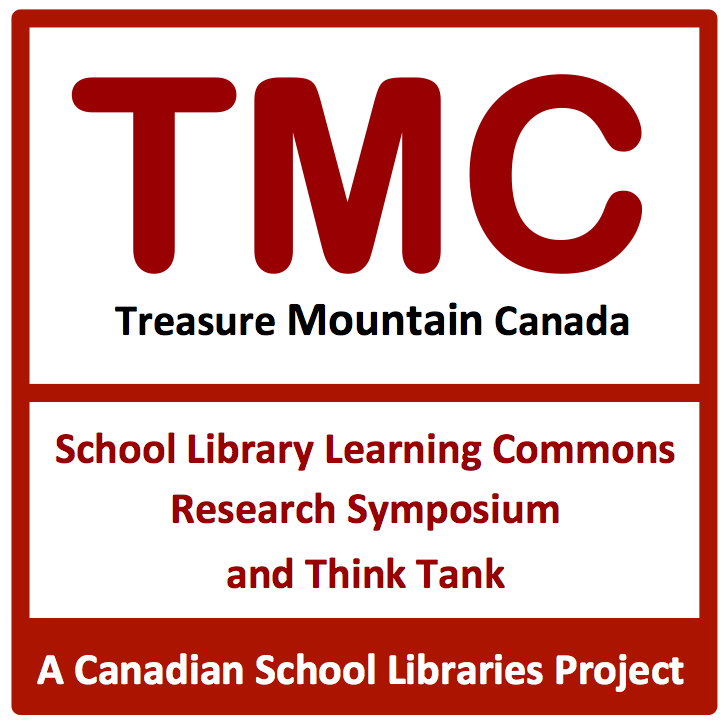 Leading Learning: Standards of Practice for School Library Learning Commons in Canada provides a guide for the transition of school libraries to vibrant centres of teaching and learning responsive to the diverse needs of learners today and into the future. 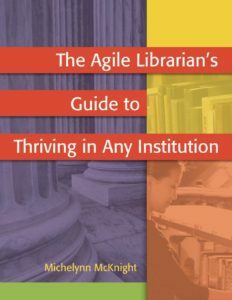 It also serves as a measurement tool to help schools determine where they are now with library facilities and programs and where they want to advance to. L’Apprentissage en tête: Principes relatifs à la transition de la bibliothèque scolaire vers le carrefour d’apprentissage au Canada fournit des normes afin de guider la transformation des bibliothèques scolaires pour créer des centres d’apprentissage, d’innovation et de création de connaissances tournés vers l’avenir. Canada’s only national journal dedicated to school library learning commons practice. Three online editions per year. Collaboratively exploring ideas to build collective knowledge of the learning commons approach as sustainable school improvement. 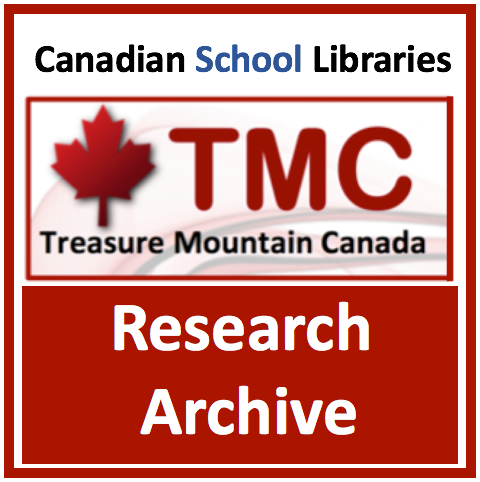 ONE POINT OF ACCESS to scholarly and practitioner research about the school library learning commons. Every child in Canada deserves an excellent school library. Les apprenants ont le droit de s’attendre à une bibliothèque scolaire de qualité où qu’ils soient au Canada. Become a member of the CSL Network. Subscribe to our newsletter! The national voice of Canada’s library associations. / Le porte-parole national des associations de bibliothèque. 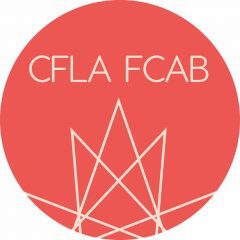 Canadian School Libraries is a member association of CFLA-FCAB. Created in 2011. Have we moved forward since then? What would you include in an updated version?